Wizkid met the Lagos state police commissioner today after being summoned following a complaint by Linda Ikeji.It seems all went well at the meeting judging by the cheekily captioned picture Wizkid posted on social media,he captioned it -Police is your friend.So i guess that was a little shade to Linda Ikeji saying i have been to the police and nothing happened to me. word with Wizkid advising him not to threaten people publicly,whether jokingly or intentionally.It is important that messages like this are passed out so the youth know its not a proper thing to do and you can get into trouble if you do. 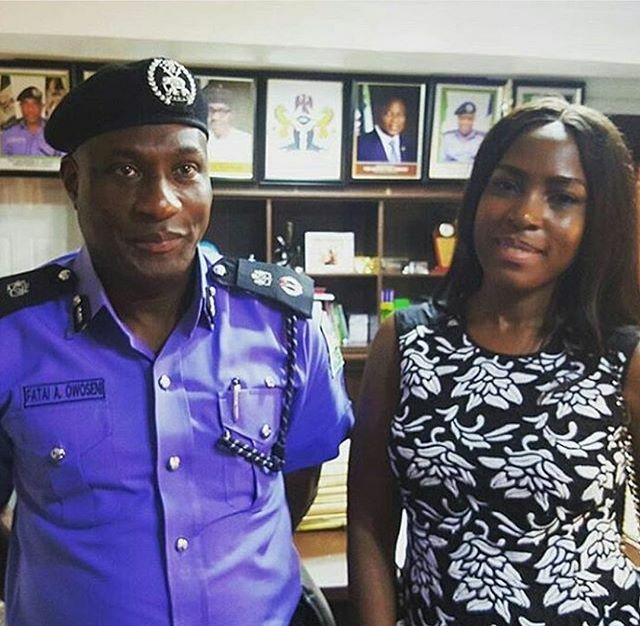 Read Linda Ikeji refuses to take picture with Wizkid at Police station here. I am very sure Wizkid did not mean what he said when he said he will send people to beat up Linda,it was all brash talking.But it would be nice to if he can make a statement saying he never meant it and apologize.